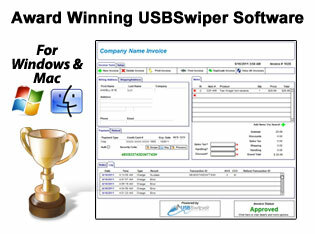 The USBSwiper.com Software Interface RENTAL option is for customers who already have our Original USBSwiper.com Magnetic Credit Card Reader but did not PURCHASE the software for ongoing use. The Software Rental Program Allows users to reactivate the software for an additional 2 week period. If you need slightly longer than 2 weeks for an upcoming event, please call our sales support # to get assistance with that at (224) 677-0283. For more informtion on the complete terms and requirements of the Rental Program and our software interfaces, see the highlighted links. We purchased the USBSwiper software and card swiper for our book, CD, DVD and misc sales at our Western Washington State fair last year and it worked perfectly for us. We continue to use it in our ministry bookstore and when we set up our portable bookstore on special occasions.